GHF is honored to announce the establishment of the “Josephine Lockhart Reid Fund.” This one million dollar endowed fund, given by Josephine Reid in 2017, will benefit repair, maintenance and special projects of the 1892 Bishop’s Palace. 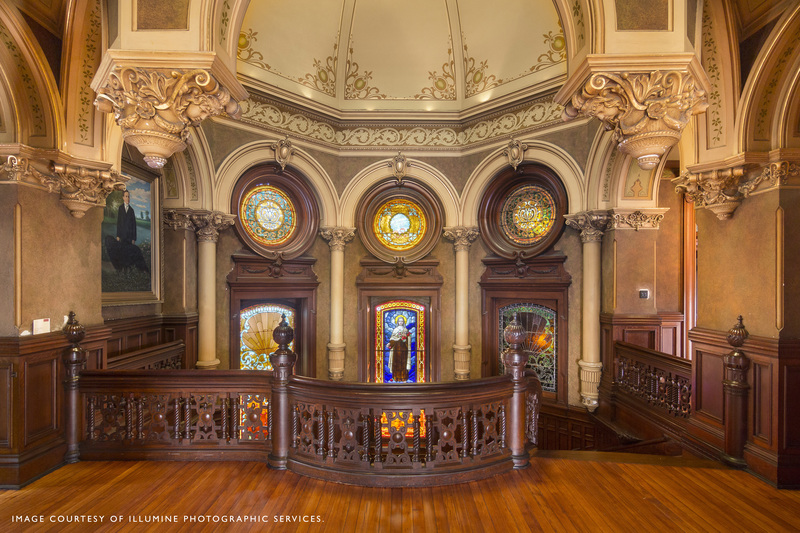 Projects planned include art and stained glass restoration as well as furniture conservation. 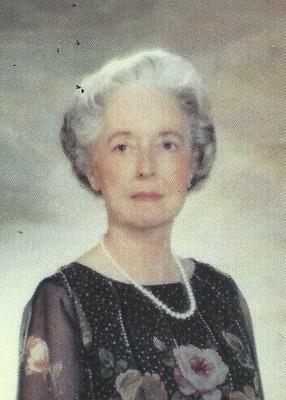 Josephine Reid, who passed away in late 2016, is a descendant of Walter and Josephine Gresham’s oldest daughter, Esther Gresham Lockhart, and has been a longtime supporter of GHF and the 1892 Bishop’s Palace. In 2014, Reid donated a large number of original furnishings from Bishop’s Palace to GHF and her children donated additional, original furnishings, to the foundation in 2017. Josephine was born on March 21, 1925 in Galveston, Texas to John W. and Frances Harris Lockhart. She began school at the age of four and graduated from Ball High School in Galveston at age sixteen. She attended Mary Baldwin College in Staunton, Virginia and graduated from the University of Texas with a Bachelor of Arts degree in microbiology at age nineteen. Josephine met Dr. John Warren “Jack” Reid in a laboratory at Brachenridge Hospital in Austin, Texas where he was a surgical resident and they married in 1945. Josephine and Jack traveled extensively throughout the United States and Europe. She was an avid reader of history and promoter of historic preservation. 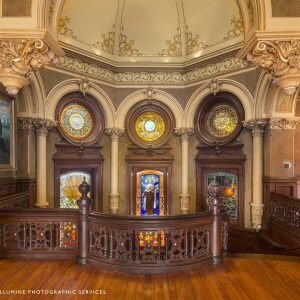 She delighted in helping to preserve the history of Mill City, Oregon and enthusiastically supported the Galveston Historical Foundation in their efforts to preserve the 1892 Bishop’s Palace, the home of her great-grandparents.